Many mortgage loans available on the market today, such as FHA and VA loans, are mortgages that are backed by government agencies. Any loan that is not insured by one of these government agencies is called a conventional loan. Government-backed loans are often designed to accommodate borrowers with less than average credit scores and borrowers with limited down payment availability. There are also limits on the size of the loans that these agencies will insure. Borrowers with stronger credit and income, or those who are interested in more expensive homes may find that conventional loans are their best option. Bancstar Mortgage is a leading provider of Mortgage Loans in Bethesda, Silver spring, Arlington, Baltimore, and the whole state of Maryland! Contact Bancstar Mortgage todat at (240) 664-6243 for more information or how to get pre-qulified!Fannie Mae and Freddie Mac purchase most of the mortgages that are made by lenders today. Each loan purchased by these entities must meet specific criteria. Loans that meet these criteria are called conforming loans and those that do not are referred to as non-conforming. One of the first things looked at when determining eligibility is the amount of the loan. The maximum loan amount eligible for purchase is $424,100, although in certain high-cost areas, this maximum can reach as high as $636,150. A popular non-conforming loan used by homeowners looking to purchase higher-priced homes is the jumbo loan. 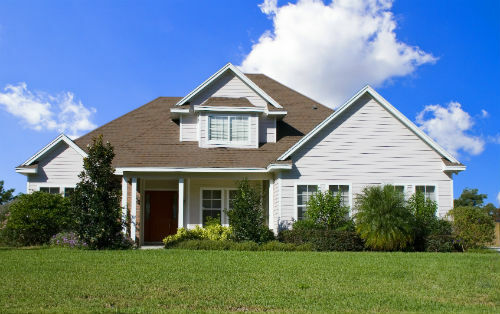 A jumbo loan is simply a conventional loan that exceeds the conforming loan limit for an area. Conventional loans have historically required down payments of 20% or more, however in recent years, conventional loans have become available with down payments as low as 3%. However, those borrowers who can still make the 20% down payment will not have to worry about paying private mortgage insurance (PMI) premiums. If a borrower can’t make a 20% down payment, they are still able to cancel their mortgage insurance once 20% equity is reached. This option is not available for government-backed loans such as an FHA loan. Borrowers who select a conventional loan can choose between a fixed-rate mortgage, adjustable-rate mortgage (ARM), and a Hybrid ARM. There are specific benefits to each type of rate depending a borrower’s situation and goals. Fixed-rate mortgages are preferred by many homeowners as they offer peace of mind knowing their mortgage payment will never change. Regardless of what happens in the market, the rate on a fixed-rate mortgage will remain constant. Mortgages with a fixed-rate are most commonly available as 15-year, 20-year, or 30-year loans. Adjustable-rate mortgages have interest rates that will vary from time to time based on market conditions. ARMs commonly start out with a lower rate than fixed-rate mortgages. This can make an ARM a valuable option for someone who plans to relocate or refinance in the near future. Hybrid ARMs combine the components of fixed rate and adjustable rate mortgages. For example, a 7/1 Hybrid ARM begins with a 7-year fixed period followed by yearly adjustments. Bancstar Mortgage LLC offers the best rates and terms on conventional loans throughout Bethesda and all of Maryland. Whether you are refinancing an existing mortgage or purchasing your very first Bethesda home, we have a conventional loan option that will meet your exact needs. Bancstar Mortgage is a leading provider of Mortgage Loans in Bethesda, Silver spring, Arlington, Baltimore, and the whole state of Maryland! Contact Bancstar Mortgage todat at (240) 664-6243 for more information or how to get pre-qulified!